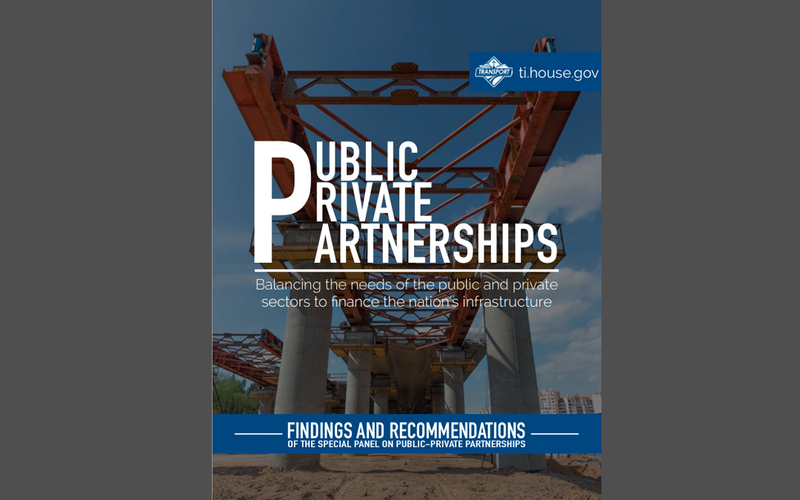 The House Transportation & Infrastructure Committee’s (T&I) special Panel on Public-Private Partnerships (P3 Panel) today released its final report and recommendations on how to balance the needs of the public and private sector when undertaking P3s to finance the nation’s infrastructure projects. The panel was created last January by T&I Committee Chairman Bill Shuster (R-Pa.) and Ranking Member Nick J. Rahall, II (D-W.Va.) and was tasked with examining the current use of P3s in all modes of transportation, public buildings, water, and maritime infrastructure. it was chaired by Rep. Jimmy Duncan (R-Tenn.), with Rep. Michael Capuano (D-Mass.) serving as ranking member. A total of 11 T&I Committee members (six Republicans and five Democrats) served on the panel. The group conducted two hearings and seven “policy roundtables,” several of which involved ARTBA members. Additionally, ARTBA P3 Division leaders and staff met at various times with Chairman Duncan, other members and staff to provide the first-hand perspective of P3 practitioners. ARTBA presented these officials with detailed policy recommendations, including continued growth and reform of the Transportation Finance and Innovation Act (TIFIA) program, removal of the cap on Private Activity Bonds (PABs) for use in financing highway and bridge projects, and eliminating barriers to tolling as a means of financing transportation improvements. The final report endorses continuation of the Transportation Infrastructure Finance and Innovation Act (TIFIA) program and PABs, and calls for improved efficiency and transparency in the TIFIA loan approval process, a key ARTBA recommendation. It also makes recommendations to grow public sector capacity to better structure agreements and ensure the needs of the public sector are adequately protected and proposes improvements to traditional procurement processes to ensure better outcomes for all projects. It includes includes a series of proposals for breaking down barriers to P3s, and changes to federal programs to allow for partnerships to be more easily considered by states and localities. The report also outlines steps to ensure transparency and accountability for P3s, which is critical to fostering public support for such complex agreements. It’s expected the full committee will consider the panel’s recommendations in any House proposal to reauthorize the federal surface transportation programs. ARTBA will remain in close contact with the committee during this process, including providing industry reaction to the P3 panel’s report. If you would like to participate in ARTBA’s P3 Division, please contact Rich Juliano or Mike Forsythe. 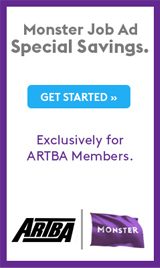 View ARTBA’s summary and the full panel report.